19 year-old Fred Wright is one of the UK’s brightest cycling prospects. Currently in his second year with British Cycling’s Great Britain Cycling Team Senior Academy, he has already shown himself to be a strong performer on both road and track at the senior level. He is one of our U23 riders to watch in 2019. Hailing from Velo Club Londres (VCL), the same cycling club that has helped support other bright stars such as Ethan Hayter, Jacob Vaughan and our journal contributor George Jary, Fred got into cycling through a summer camp at the Herne Hill Velodrome. As a junior, he won the Junior Tour of Wales (previous winners also include Tom Pidcock, Eddie Dunbar, Scott Davies, Hugh Carthy and Dan Martin to name but a few). And as a first-year senior last season, he took a well-executed breakaway win in the Ronde de l’Oise stage race (UCI 2.2) and was an impressive 5th in the national road race championships. This season has already started brightly with a 4th place on stage 3 of the Volta ao Alentejo (UCI 2.2) and a win in the Belgian amateur race Koersel. Can you tell me a little bit about how you got started in cycling? I just went down to a summer camp basically, that they still hold at Herne Hill Velodrome throughout the summer for primary and secondary school kids. I just loved it, loved riding the track straight away. I think I was about eight or nine years old, so pretty early. So that’s ten years ago? God yeah (laughing), ten years ago, a long time ago! And you joined the VCL club. Presumably you got to know some of the other up and coming riders that came through the VCL ranks, like Ethan Hayter and Jacob Vaughan? Yeah, that’s what was great about being part of VCL is there was always someone for me to be racing with and training with at every stage. When I was sixteen, as a first year junior, there was Ethan and he was kicking our heads in in the races. And then when I was a second year junior, Jacob was doing the same to me, so I always had someone good to race against. It would have been harder to progress if I was somewhere without other strong riders in the club. And then there’s also loads of other British riders about your age – Jake Stewart and Mark Donovan, Tom Pidcock for example. You look at the list of British riders that are 18, 19, 20 and it feels like Britain is on the cusp of an exciting new generation of riders? Yeah, I definitely think so. I lived with Jake last year, he’s a good person to train with. How do you see yourself progressing, you seem to be mixing track and road at the moment, is there one that takes priority, or do you just want to see how things go? I’m sort of seeing how things go at the moment. I think last year I wasn’t sure how it would go but I’ve managed to get good enough results on the road to supplement the track so I’ve stuck with the same programme. And I enjoy the track so I want to keep doing it for as long as I can really. You rode the World Cup in London before Christmas and had some success in the team pursuit. So you seem to be getting some good results now on the track. Are the Olympics in the back of your mind now, are they a possibility do you think? I mean you never know with these things. I think I’m just going to take each opportunity as it comes. Hopefully I’ll ride some more World Cups in the winter and then we’ll just see how it goes. Why was it a surprise? Well I started the race, and I did nowhere near as good as I wanted to in the time trial. And then each stage sort of got better and better and then I ended up with the overall. People took the piss saying ‘oh, I’d robbed it off Ethan, off my teammate, but I think he was fine with me going up the road in the group and taking it because he didn’t have to do any chasing and we got a VCL 1-2, which is pretty special for a standard cycling club! Last season you had on paper what seemed to be a really good year on the road. How do you think it went? Yeah, I’d say it was a lot better than expected to be honest. I sort of went into it thinking I’d just do my job for the team and be part of results. I didn’t think that I’d have many results in my name, but I came away with a few. What would you say you were most proud of last year? Probably that stage of the Ronde de L’Oise where me and Bostock were in the break. We managed to stay away and then I managed to get the win. We just didn’t think we were going to make it, the gap was coming down and down, we’d been out there all day but we just had to go for it. Yeah, that was a great race as well. I got into the breakaway move, it was fairly early on actually, and looked around and thought ‘hang on a second this isn’t going to get brought back’. So yeah, it was good! How did the race then play out? Were you keeping an eye on Rob Scott knowing that he had a fast finish? Yeah. I think I’m looking to learn from that. I think last year, being in these new situations that I hadn’t been in before, I think I was quite … I would get a bit too excited and maybe do too much work here and there. I think going into these races again this year, I’ll look to try and be a bit more patient (laughs) because when you’re a first year there’s less pressure for results. I guess I was going ‘oh I’ll do some work in this break, it doesn’t really matter’. But actually, if I’d have maybe been a bit more controlled, I could’ve done even better. So is that what you think happened in that race? You used too much energy? Yeah, maybe. I think I could’ve followed Rob more. I don’t know. Hindsight is one of those things, isn’t it? Talking of learning, how did you find riding the Tour de Yorkshire and the Tour of Britain last year? They were great. It was great being in the bunch and being like ‘oh, look it’s so-and-so’, like in the Tour of Britain when you’ve got Geraint Thomas and Froomey in the race. I’d say the Tour of Britain was another highlight of the year, that was a great week. How did it work with the GB team? When you go into races do you have assigned roles or are you given a bit of freedom to kind of get in the break or take opportunities where they come? How does that work? I’d say we still operate completely as a unit. It’s quite good sometimes because I’m living with the people that I’m in a team with, quite often, and that helps you when it comes to making sacrifices for your team, because if your team gets a win, you come back to the house and everyone’s in a good mood. So with the Tour of Britain was it a case of working for Ethan quite a lot in the race? Oh yeah, definitely. He sort of emerged as the week went on. He was going really well, so quite clearly we were going to start working for him. In the team time trial we had to slow him down because he was blowing it apart a bit at the top of Whinlatter! And you got a top ten for that team time trial, that was pretty strong result? Yeah, that was a great result. I’ve never done a team time trial like that before, with proper aero set-up and everything. But we executed it really well actually. Did your team pursuit experience help, do you think? Yeah, I think so, as the mentality of how you deliver it is pretty similar. Yeah, that helped. And you stayed with the GB set up this year, while riders like Jake Stewart and Adam Hartley moved on to focus purely on the road. Did you have other options? Did you consider switching to another team or set-up? No, I still think I’m more than committed to the three-year academy process. And with doing the track and road I feel like it really suits me, the rider. I think Jake realised as the year went on that the road was more for him really, but I think I was more the opposite, I realised that I still wanted to do the track. And now the track season has finished, will you have a road focus until the World Cup season picks up again? Well, we’ve got the under 23s track Euros this year in July. So we will do a bit of track here and there leading up to that. And then switch back to the road for the final part of the road season. How do you manage the transition from riding track to road and back again? It’s always the first couple of sessions where you get on the track and you’re like “How are we ever gonna go fast?”. It doesn’t take long to make that switch. I’ll be looking to fit in maybe a few strength blocks. It might be a bit tricky to fit in strength blocks in the gym around the road season. I think that’s the one thing I might struggle with this year. We’ll just have to see how it goes. When you say “strength blocks”, what do you mean by that? Basically, periods where I’m looking to increase my peak power for the track by going fairly big in the gym, but that can have a negative impact on how well I go on the road. It’s going to be about picking and choosing times where I’ll be okay to stick a strength weekend here or there. So I’m in good shape for when the World Cups come around and the start of the track season again basically. And do you have any particular goals this year on the road? There’s a few races that I’d like to do well in. I’d love to do very well at the worlds in Yorkshire. It’s going to be a hard task but that’s one of my goals. Yeah, yeah exactly. I was in the running for selection last year, so hopefully for the second year I’ll get better results on the road and put myself in a better position. So presumably that’s going to be a big motivator for you this season, you’ve got to show results on the road before Yorkshire in order to get selected? Yeah, yeah. But there’s plenty of opportunity I think. It’s the Nations Cups that I’d like to do well in. The Nation’s Cup race in France, L’Etoile D’Or. I’d also like to ride the Baby Giro and the Tour de L’Avenir hopefully. I’d like to get into the team for as many of the Nations Cup races as possible and just try and do my part. Either go for the result or help out with team. Are you training to peak for those types of events then? Yes, that’s the plan on the road for this year. For all of us to be in a good position in the Nations Cups. I think that’s the most important thing for us, is making sure we have enough points to get six riders in for Yorkshire. 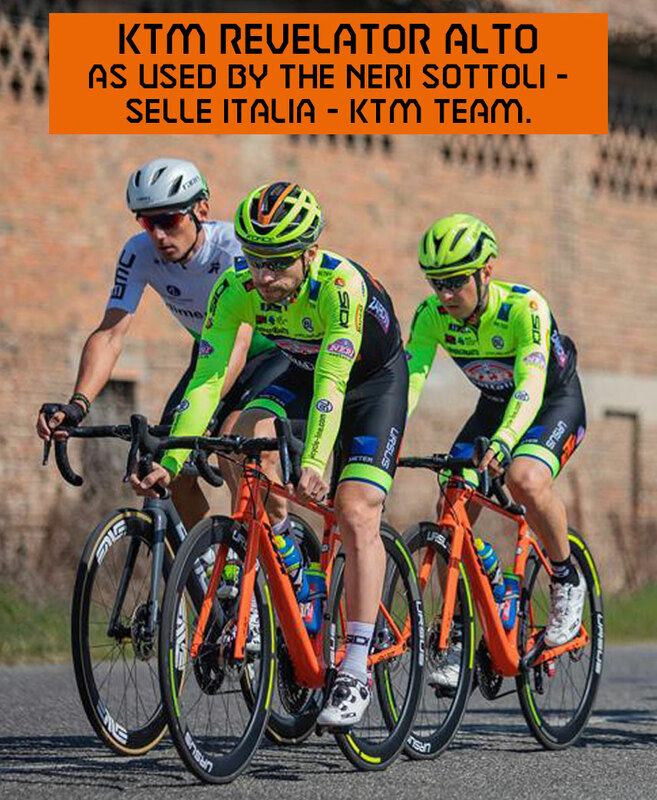 And doing the Baby Giro will be a new experience for the team? Yeah, that’s another thing that’s been great this year is having Matt [Brammeier] coming on as the new coach. I really like the way he does things and it seems like a progression from last year which is definitely going to help me progress as a rider as well. In what way have things changed, do you think? There seems to be a bit more importance on how happy we are as riders and a bit more focus on what we want to happen and I think that’s really good. There seems to be a more level relationship between us and Matt, basically. I’m not just stuck here in Belgium at the moment, basically. If I said to Matt ‘I’d quite like to go home’ he’d be like ‘yeah that’s fine’. It’s not quite as regimented as it has been. It seems like the perfect balance at the moment. There’s still discipline, we’re still out on the bikes at 9:30 every morning. But we finish completely happy which is the most important thing. Does that mean you’ve got more input on your own programme than you’ve had in previous years? It feels like I do, yeah. You’ll all racing together quite a lot and living together but then there may be other riders stopping in and out of the team, on the academy. Is that right? They’ll be a few dropping in and out for the Nations Cup races I think. That’s the plan. How far in advance do you know your programme? Pretty far in advance actually. Matt’s gone through, a couple of times, what the calendar is and we sort of tell him which ones we’d like to do. I think around the same time as the Tour de Yorkshire there’s another Nation’s Cup, so we’re deciding what we want to do there basically. Its good, we’ve been very much in the loop as to what’s going on. Do you feel in competition with some of the other non-academy boys. Presumably, in some of the bigger races like Giro, Tour de L’Avenir, and Yorkshire, you’ll be competing for places with them. Is there a sense of competition there with those other boys? I wouldn’t say so. I like to think I get on well with everyone. Rob Scott and Reece Wood raced with us because we needed some riders last year. They stayed with us for a week and it was great. I think whoever has come in, so far, there hasn’t been any sort of sporting conflict. I never felt that when they came out I had to prove myself against them. Some people might think like that, but I don’t ever think, ‘I’ve got to beat him’. Usually, if you do your job, that’s what the coaches see and look for. Do you have an idea of what kind of rider you are on the road now? You’ve had success on different types of terrain. What would you say you love? That’s the thing. I guess I’m more of an all-around kind of rider. I don’t say I have a specialty to be honest. I’m not slow in a sprint. On a good day I can go alright up a climb. Could you see yourself kind of doing well in stage races in the future? Yeah. I’d like to think that that’s the sort of direction I’m headed in. But who knows?